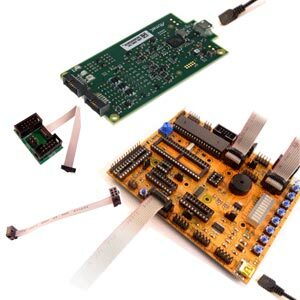 Training kits for AVR microcontrollers, including AVR boards, AVR Emulators (JTAGICE) and AVR Programmers. See also Starter Kits > AVR Starter Kits. Teaches microcontroller programming from the start. This training kit is perfect for beginners as it covers everything you need to know from scratch.